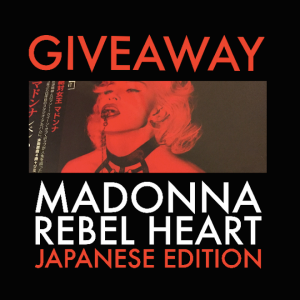 So when we disappeared from Australia’s shores recently to bask in the cherry blossoms of Japan, we couldn’t help but pop into a Tower Records store and pick up three copies of the deluxe Japanese edition of Madonna’s latest album ‘Rebel Heart’ to bring on home to you as a special giveaway. We know how you love these special giveaways and all. And that’s precisely what happened. We’ve been giving away these three copies of ‘Rebel Heart’ for the past couple of weeks and now it’s time to find out the lucky stars who’ve picked them up! Dale from Crib Point in Victoria, Simon from St Clair in New South Wales and Joel from North Avoca in New South Wales. Huzzah to you, gents! 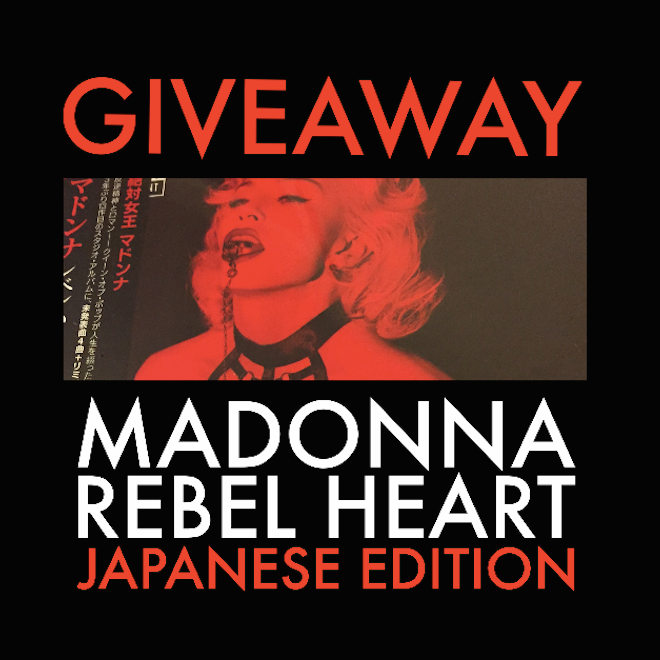 A copy of the deluxe Japanese edition of Madonna’s ‘Rebel Heart’ will be in your post box within days! Thanks to all who entered and don’t forget… we’ve got a Hot Chip giveaway live in the sidebar as we speak!